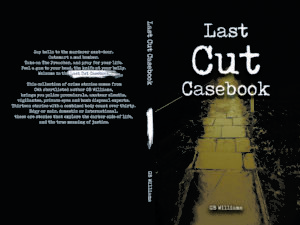 GB Williams – she’s going to lock you in for three books. We’re going to be smug now. Intolerably, irredeemably smug. In fact, we’re going to dance around the internet doing the ‘We Told you So’ dance. GB Williams, one of our longest-serving editors, just signed a three-book deal with Bloodhound Books. We first encountered GB Williams as a client here at Jefferson Franklin, and we were impressed right from the word ‘Go.’ Besides crafting ingenious plots with simmering tensions between her characters, GB proved to have other oseful skills, and now, barring the Editor-in-Chief, she’s our longest-serving Senior Editor. A whizz at research-led realism, believable timelines, involving worlds, complex plotting and characters you’ll recognise as real human beings, rather than walking plot-engines, GB Williams is a writer you’ll want to read – and then an author you’ll want to read more. 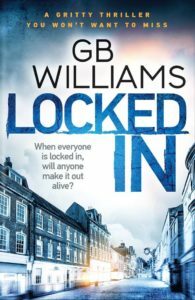 The ‘Locked’ series is set to shake up the contemporary crime market from Autumn 2017, when the first of the three books is launched. GB Williams, folks – you’re going to want to lock yourself in with her books. Check her out at Bloodhound Books here. What’s more, GB has since also begun negotiations with Xchyler Publishing in the US to publish the first novel in a steampunk adventure series, Shades of Aether, following the exploits of Amethyst Forrester as she becomes an heiress, moves into high society, and ends up saving the British establishment with the cunning application of marzipan. Xchyler knows a good writer when it sees one, and has previously published GB in a steampunk anthology, Steel And bone. So whether you like your crime gritty, realistic and modern, or Victorian and steampunk, you’re going to want to check out GB Williams this autumn – whichever side of the Atlantic you’re on, she’s going to take your world by storm.